Evergreen Choisya, or Mexican Orange Blossom as they are also know are a favourite low maintenance shrub, that really stand out in the garden, thanks to their attractive foliage and fragrant flowers. Supplied in 2-3 litre containers, our special collection of lovely bushy plants features some of the newest and best varieties available. 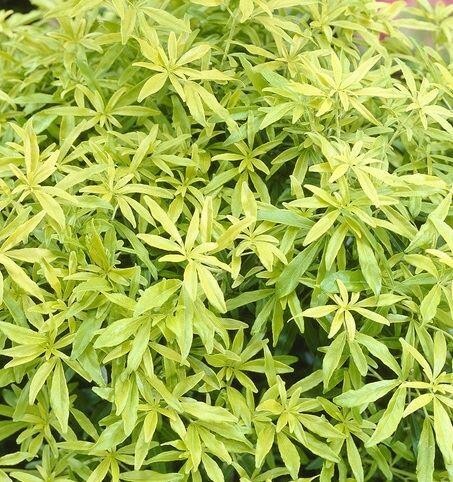 Choisya ternata Goldfingers A fabulous variety with golden yellow leaves which are aromatic, and resemble slender golden fingers. Citrus scented white blossoms are borne in spring alongside the striking golden yellow foliage. This attractive evergreen shrub is ideal in a sunny border or as a potted specimen. It has a low growing spreading habit making it a good plant for landscaping and mixed borders. Choisya White Dazzler A new and neater version of the ever-popular Choisya 'Aztec Pearl'. 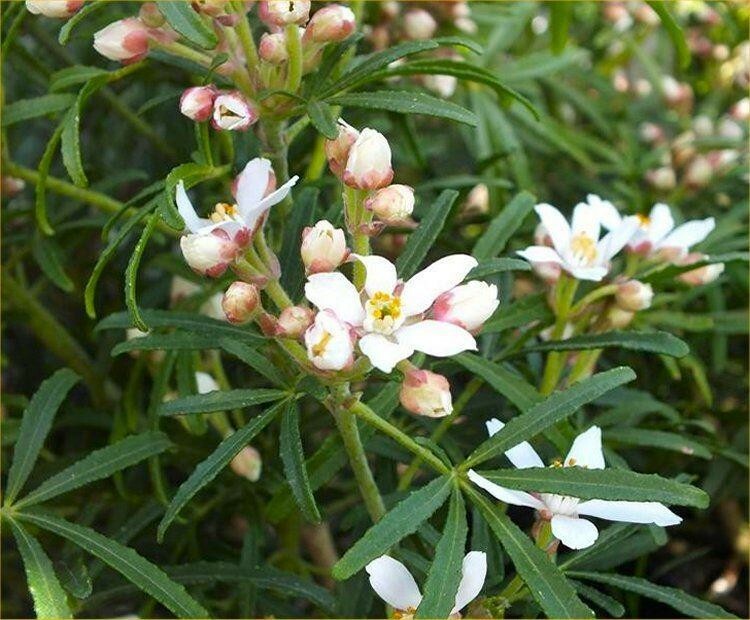 Fully evergreen with aromatic, deeply divided foliage, in late spring the plant is covered in masses of fragrant star-shaped white flowers. In the summer a second flush of flowers is often produced. White Dazzler is a variety of Choisya particularly selected for the numbers of flowers it produces. It prefers full sun, but will cope with some light shade. Ideal for adding evergreen structure to the garden. 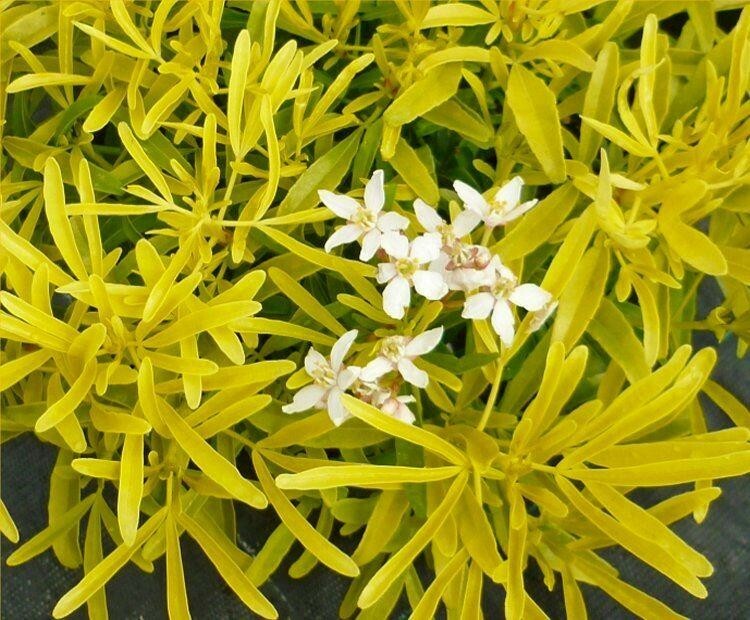 Choisya ternate Moonsleeper This is a medium evergreen shrub with prominent glossy bright yellow leaves and clusters of fragrant white flowers. It has a bushy, rounded growth habit and prefers full sun, but will cope with some light shade as long as it is in a well drained position. A favourite low maintenance shrub, this really stands out in the garden, thanks to its bright yellow foliage. It produces a show of fragrant white flowers in early summer and sometimes again in autumn too. This collection of three different varieties, each supplied in 2-3 litre containers will be perfect in virtually any garden.